Table-Top Displays are great for smaller trade shows or a smaller budget. They also work outside of a trade show setting for presentations, events or any other instance in which a portable and small display is required. They come in all sorts of shapes and sizes. Many of the larger, full-sized trade show displays also offer a smaller table top version. 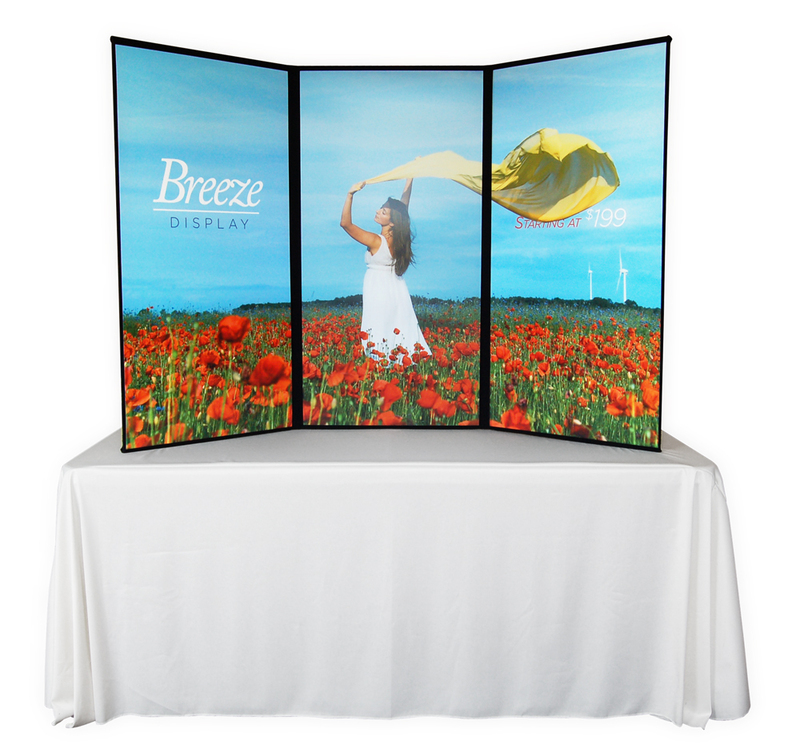 Breeze Displays (pictured above) are a unique tri-fold solution offered by Tradeshowdirect. They are manufactured entirely in the USA so you can feel good about helping the economy while knowing you are getting a high-quality product that comes with a lifetime warranty.